Trident Pliers. 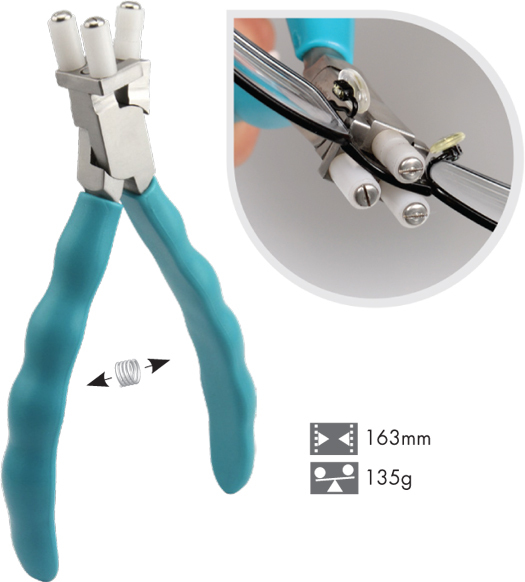 A Plier that has multiple uses with metal frames. Pliers can be used to narrow the DBL of a metal frame to insure proper bridge fit. The tool can also be used to reshape temples for overall comfort and fit.